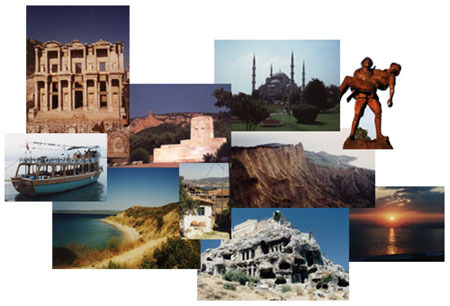 www.anzacgallipolitours.com is a full-fledged travel agent & tour operator run by Turkish / Australian couple (TJ & Bernina) who are experienced destination planners. Both management & guides have a long running reputation for being the Gallipoli tour specialists, having run daily Gallipoli tours to the ANZAC site for over 25 years. TJ ­ (Ilhami Gezici) was born to guide the battlefields & Turkey. His name says it all. The direct translation would be: Ilhami = inspirational / Gezici = wanderer or traveller. TJ is the Inspirational Traveller. A local boy who studied high school in Eceabat, Ilhamis’ love of the battlefields grew from the enthusiasm of his history teacher who would take his students around the Gallipoli Peninsula & tell stories handed down from the local elders. Ilhami started out as an all ’round Turkey guide on long multi – city itineraries mostly for Americans who gave him the nickname TJ. As the travel agents & hoteliers got to know him by this nickname, it stuck & he has used it ever since. *’Marrying historical knowledge & general enthusiasm’ TJ decided to settle in Eceabat to start TJ’s Travel Agency running the most comprehensive day tours in the region. While staying true to our origins, in 2011 we have launched our new website with a wide range of new travel services for like-minded independent travellers. We wholeheartedly believe our best assets are enthusiastic, well-educated guides, drivers & office personnel who have first hand knowledge acquired through living – guiding tours in Turkey & they are eager to share our country’s treasures as you are to experience them.